After serving in the US Navy, Hillman studied at the Sorbonne, at Trinity College, Dublin, and in Zurich, where he received a PhD from the University of Zurich and an analyst’s diploma from the C.G. Jung Institute where he served as Director of Studies until 1969. Versed in Jungian psychology, he charted his own path which he named “Archetypal Psychology.” His first major work, Revisioning Psychology, 1975, was nominated for a Pulitzer Prize. Jung’s psychology can be characterized as “monotheistic,” aiming at a realization of the “Self,” as the supreme archetypal principle. Jung understood the Self as “the God image within.” Hillman, by contrast, called the psyche “polytheistic,” and considered the Self as simply one of many psychic centers within us. Our nature, as we experience it moment by moment, is more like a pantheon of many gods than the kingdom of single inner supreme being. As a corollary to these differing models of the psyche, development for Jung was often imagined as an ascent, a kind of upward climb toward spiritual clarity. For Hillman, growth was often a descent, leading to contact with the “Soul,” which for him was more like the “soul” of a blues musician or an artist than the “immortal soul” of organized religion. Hillman was also concerned with anima mundi, the soul of the world. How can people be healthy when the world is ailing? Hillman had little patience with ego psychologies that pretend human health is possible when our cities are blighted and we work in sterile, windowless offices bathed in florescent light? As a result, his method of approaching dream and fantasy was unique. He shunned methodologies that seek to aggrandize ego by asking what the figures of dream mean. He insisted we treat the beings who visit us nightly with the same courtesy we would show to a guest in the waking world. Something within us mourns the animals missing from our lives. We wear their pictures on t-shirts and sometimes collect little animal figurines. We cherish domestic pets in ways that might seem bizarre to earlier generations who weren’t as estranged from the natural world. We thrill at the sight of Coyote or Deer moving through twilight woods at the edge of the housing tract, and we mourn them dead on the road as we drive to work. We are energized when animals visit our dreams – sometimes. We’d rather they weren’t fierce, threatening, or slimy. 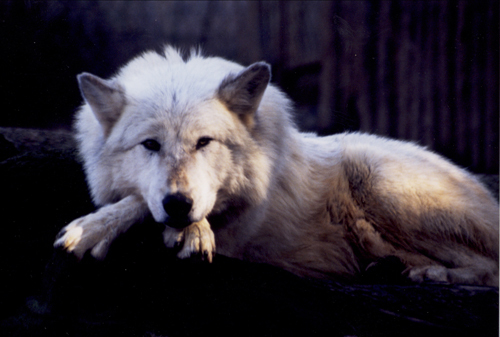 We prefer majestic and noble: an eagle, a dolphin, or wolf will do nicely. We’re not so fond of ants or mice, pigs or slugs, skunks or rats. With the natural world in tatters, however, anima mundi is not dreaming of Disney creatures and love and light. That’s all right. Black Elk said the Lakota people knew every being has it’s place in the medicine wheel. And if we don’t know what’s broken in ourselves and in the world, said Hillman, we don’t have the slightest idea of who and what and where we are. What animals have recently come to your dreams? What did they seem to want? Don’t remember any animal dreams? Just ask. If you mean it, if you are truly interested and repeat the suggestion until it brings results; if you prime the pump by leaving a notebook and pen you your bed stand, the creatures will visit. They want to be heard and are looking for those who will listen. This entry was posted in Animals, Authors, Books, Culture, Folklore, Psychology and tagged Animals, authors, books, Carl Jung, Culture, dreams, folklore, James Hillman, Psychology, spirituality. Bookmark the permalink. This is a thought-provoking post, Morgan. I don’t recall dream animals myself — plants, occasionally, but not animals — and if I remember vivid dreams from when I’m close to waking, they usually involve characters based on people or types that I know. Maybe because we just have the one cat now, and it’s either asleep or out on the prowl, but I don’t experience that identification with a totemic-like creature that many others must have. But I do know from folktales and fairytales that experiencing animal helpers and adversaries is a commonplace, and, as you suggest, it may be due to our predecessors’ closeness to the natural world. By the way, I’m assuming the photographic studies of animals are your own. If so, they are excellent — you’ve done a good job in capturing a sense of their apparent kinship with humans. I have no idea of how common animals are the dreams of modern people. In my case, a real sense of kinship is rare, though powerful when it happens. I also think it changes over time. 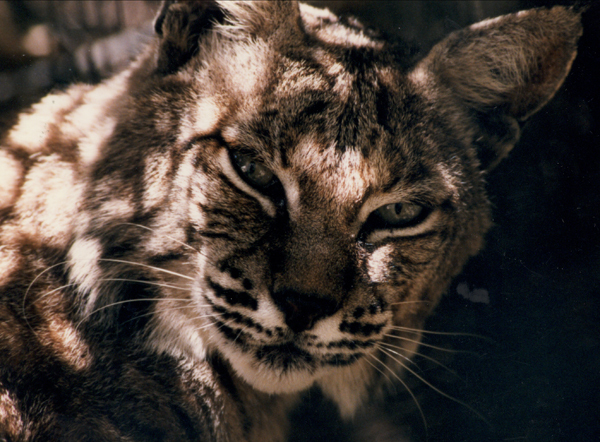 I took the photos during the 90’s when I spent a lot of time as a volunteer at a nearby rescue and teaching zoo. The two foxes were special little friends. 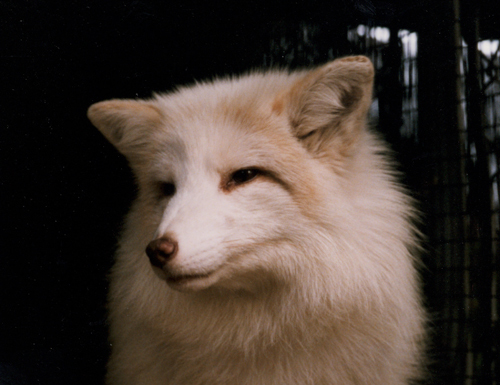 The white one, Vixen, had come there when she was four weeks old and was completely socialized with humans. That also meant they gave her extra treats so she was getting a bit pudgy, and I got to take her out for walks (on a leash) before the zoo opened. I worked nearby, so I’d get there around 7:00am a couple of mornings each week and take Vixen out. I remember certain days, when there was fog, or right after a rain with mist, when it was like a pristine world. Sure put 8:00am meetings in perspective when I got to work. The other fox, Sly, was my little buddy. Much more skittish. I was just getting him socialized – I think I was the only one who get a collar and leash on him – when he developed a tooth abscess that led to his death. I still miss that little guy and he has popped up in my dreams a time or two. Thanks for sharing these personal memories and experiences — they’ll be very precious to you. Thanks for this great side-by-side of Jung and Hillman Morgan. I love both of these writers but especially Hillman. There is something very freeing and yet natural about allowing for that polytheistic sense of ourselves. It was the very thing that allowed me to move through a broken sense of identity that I had since childhood. I recently reread Animal Presences, and so enjoy being reminded of the importance of the animals place in our lives. I used to live very close to the Oregon zoo in Portland, and would regularly go and visit my animal friends there. I often felt that I was sharing their pain when it seemed that they were not so happy in their unnatural home in the zoo. It would make me cry for both their imagined pain, my pain and for the world and its sufferings. I’d love to reblog this, but only if you’re okay with that. I can’t remember where I read this, but I remember speculation that the psyche moves toward the polytheistic pole during complex and chaotic times. It’s probably that up until the 20th century, the majority of humans – for millennia – probably lived much as their parents lived and never travelled farther than they could walk from the place of their birth. Some to think about, along the nature of turn of the century Vienna and early 20th c. Zurich. I lived in Portland for three years a long time ago and visited the zoo when I was there. Please feel free to reblog the post – I never object. That is something to think about. Maybe too, there is a shift back to a past that was a bit more chaotic; pre-agricultural, primal, hunter-gatherer man, who was also polytheistic. Although I have moved 3,000 miles from where my ancestors had resided for 300 years, I do wonder if the modern trend of feeling unsettled is related to the technology that drives us towards more and more mobility. Ohh, something to ponder here! Beautiful post and pictures. I am drawn to Jung’s ideas although I have problems remembering my own dreams. Consequently while I don’t remember any animal dreams I am energized by seeing wildlife in their own habitat. Just a few weeks ago I had a safe encounter with a large black bear no more than 20 feet from me while backpacking in Yosemite. I still have not come down from the high this gave me. What a coincidence, I am just reading this book, inspired by Debra (ptero 9), who often writes about Hillman. I like the distinction you make between Jung and Hillman. I am a Jungian at heart but I am discovering Hillman now and loving it. I’m very glad you stopped by. I don’t have the exact quote, but I think Jung said something like, “Only I can be a Jungian – you have to work out your own psychology.” I see the two views as entirely complimentary. And also shaped by time and place, Jung reflecting Zurich in the first half of the 20th c., and Hillman reflecting Dallas in the second half. I hope you return here again. I always enjoy your posts and always learn from them. I hadn’t thought about the animal helpers in folktales, but, of course, they are there helping the protagonist and story to move along. This is a beautiful post and the pictures are as well. Thanks. I will be sending this link out and will probably make it part of tonight’s blog post. Thanks. Thanks for your kind comments. Watching what the animals do adds another dimension of interest to me in folklore. Excellent post, Morgan. It was my very arresting dream of a wounded white rabbit that prompted me to take up the struggle again to make inner work, the unconscious and imagination a real part of my life. I have that little rabbit to thank for this journey I am on now! I found your discussion of Hillman very helpful – I am about to start reading my very first book of his, The Dream and the Underworld, and I am really excited. I anticipate, from what you wrote here, that his discussion will propel me in some new directions with my dream work! This was an excellent introduction to his views to get me started. Thank you! Thanks for sharing your dream. Dreams like that, the ones that cause us to change our lives in significant ways can be so “simple” even as they are unforgettable. For some reason, I had not read your About page previously. 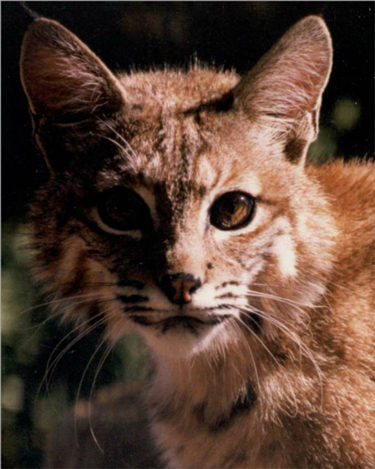 It was corporate life that sparked a renewal of interest in inner work for me and led, over time, to such activities as volunteering at the little local rescue zoo where the photographs were taken. So I hope you enjoy Dream and the Underworld, and I look forward to reading more of your posts. Perfect timing as animals visit me often in many different lights. Always provoking me to dig deeper and look further out.. This post struck a chord. Your research and conclusions are fascinating and affirming. I can’t believe I’m going to admit this on the internet…. but, since you brought it up, I will, because maybe one of your followers needs further proof. Every major shift in my life has been heralded by a ‘dream animal’, and when it first happened I was not a believer of such things. These visits are different from ordinary dreams. There is an acute awareness and a level of clarity and detail which never fades. The first time it happened, the wall to my bedroom became translucent and the animal stood on the hill just beyond. Our eyes met, and I felt awake. I climbed on the back of a pure, white horse. I did not yet know our first born had been conceived. The fox visited before a significant shift in my financial career. The gray wolf came the day before I received an unexpected contract for the first publication of “Memory Lake” and a month before my mother-in-law passed away unexpectedly. You said it well; respect the animals, pay attention, buy a symbol book. It’s a window into the mysteries of the world beyond our five senses. Thank you for sharing your personal experience. Those are very powerful images. I have notebooks full of dreams, and cannot recall the dramatic animal dreams right now. These days, my animal dreams tend to involve life and death, though in a calm way. 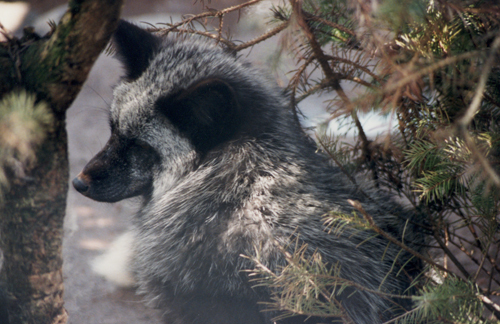 For instance Sly, the little black and white fox in the photo pops up now and then. I was fond of him, but he died around age 5. I imagine his dream body as signifying the presence of the spirit world or the ancestors. Then again, I think the same images can mean different things at different times. The mystery is what makes it so interesting! Ive been thinking a lot about jung the the last few days on a totally different topic. But animals are an integral part of our lives both awake and in deep sleep and they should be. I think Jung, at least in his early writing, was somewhat constrained by the effort to be “scientific,” and keeping those who accused him of mysticism at bay. Since most of the discipline was clearly in the behavioral camp in Hillman’s day, he had went ahead and discussed things like the World Soul, and the suggestion that the world itself is dreaming through us. I always find it interesting to think of – that in addition to the personal and archetypal levels, it may be the suffering of the animal nations and the world comes to us in dreams. Of course sometimes they just come to play, which is fun! A pleasure to do so. Thank you for looking around here.